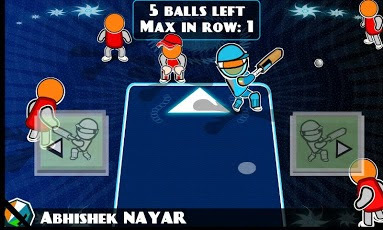 SUPER CRICKET is definitively the fastest cricket game on Android. Lose track of overs as each one whizzes by in seconds. 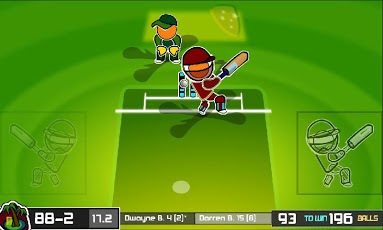 Finish matches in minutes as you score centuries and overcome challenges like in no other game. The INDIAN PREMIER LEAGUE is almost here! 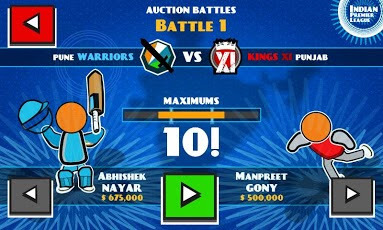 Get ready for the kick-off by playing the first game in the Pre-season Auction player battle. - Play as some of the star signings from the 2013 Auction, and square off against their rivals! - Prepare to bring your A-game in this hyper-fast game mode, where only MAXIMUMS matter. Final WEST INDIES tour of AUSTRALIA 2013 scenarios now available! - Twenty20: Part 2 - Finish up the series with a thrilling 51-run chase. 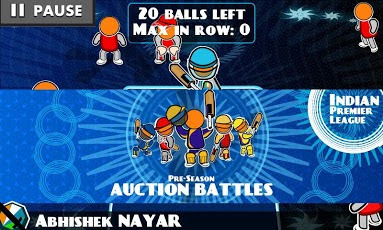 Get all upcoming game modes - including 'Indian Premier League' AND 'Big Bash' - as free updates! Set your sights on the high score in the introductory SLOG FEST game mode. Smash fours and slog sixes on your way to triple-digits within the allocated 5, 10 or 20 overs.